From the palest pastel blue shade to mysterious midnight hues, the options are truly endless when it comes to blue paint. Blue can reenergise a room or provide a calming influence depending on the shade you choose so with this in mind, read on to discover this season’s top five blue paints. Cool blue tones tend to have a soothing effect which makes pastels a great choice for the bedroom. 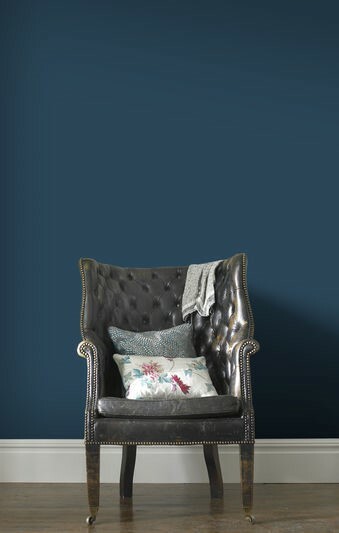 Our Cool Britannia paint is ideal for peaceful and tranquil spaces and works well in a guest room. Pastel shades also create a clean fresh look which lends itself well to a bathroom, great if you want to make a room feel bigger. The Celadon paint is another top choice and its muted tones would look lovely in a hallway. Pastels remind us of the open sky and fresh air and as a result, these two paint shades can freshen up a space in a flash. Blue paints with a green undertone prevent the overall look from being cold. The Phantom paint is one of our top choices this season thanks to its bold and bright hue. This would complement mahogany accents and spice up a social space such as a dining room or a family room. Our Venus paint also boasts a green undertone but is far less dramatic. This shade is extremely versatile and would look just as appealing in a kitchen as it would in a bedroom. To get the best result with this shade, pair it with white accents to make it pop. Darker blue tones like our Infinity Paint can add a touch of warmth to a room and navy shades are often associated with trust and loyalty. This shade can come over a little masculine but bold blue walls are always striking. Our Infinity paint has an authoritative air about it and when used in a bedroom, it can make quite the statement. Our paint collection is extensive with everything from trendy to traditional shades. If you are looking to update your home, why not order a colour card and explore our range of blue paints? This is the simplest way to compare colours. We also provide our customers with samples so you can try before you buy. 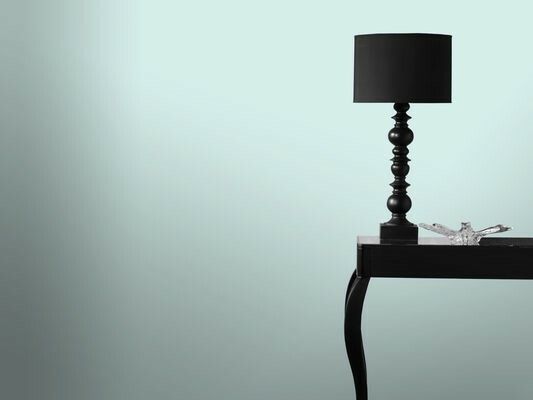 Whether you desire a subtle shade or a statement hue, we have something to suit every preference.